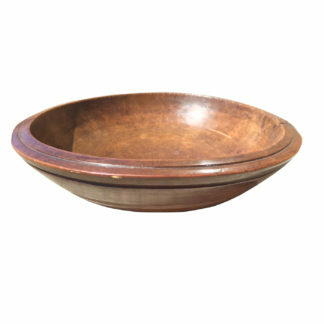 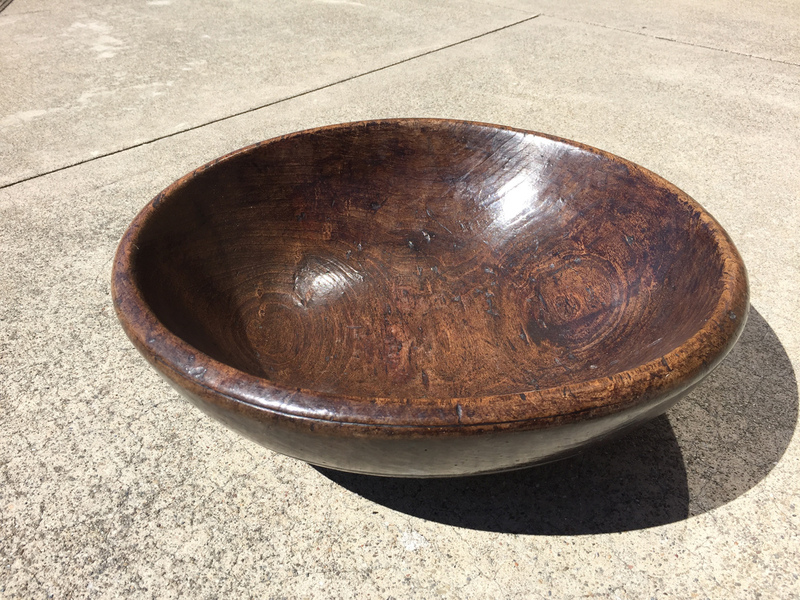 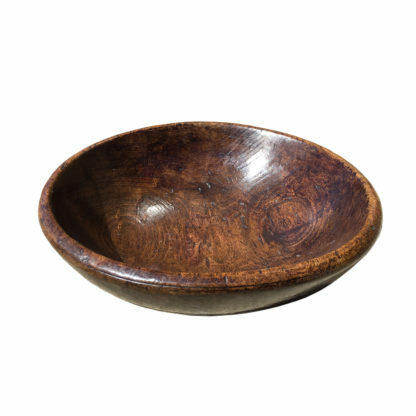 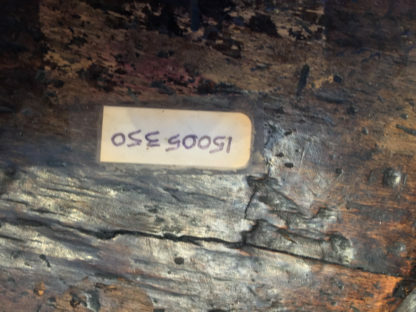 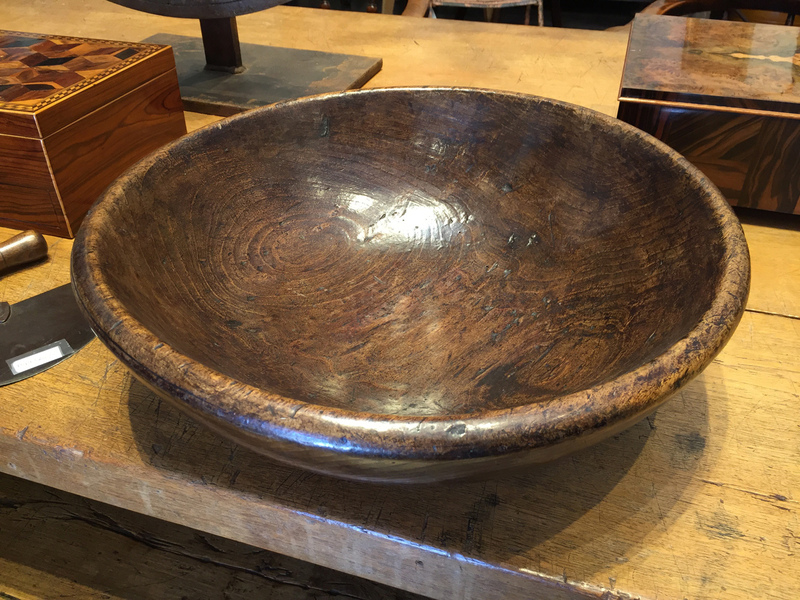 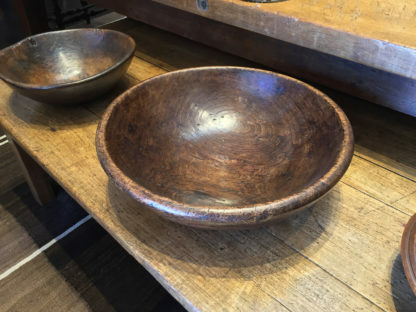 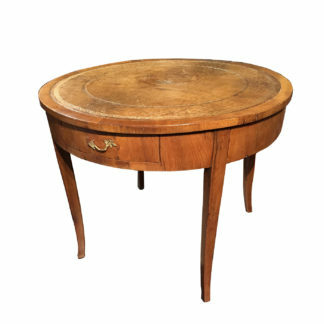 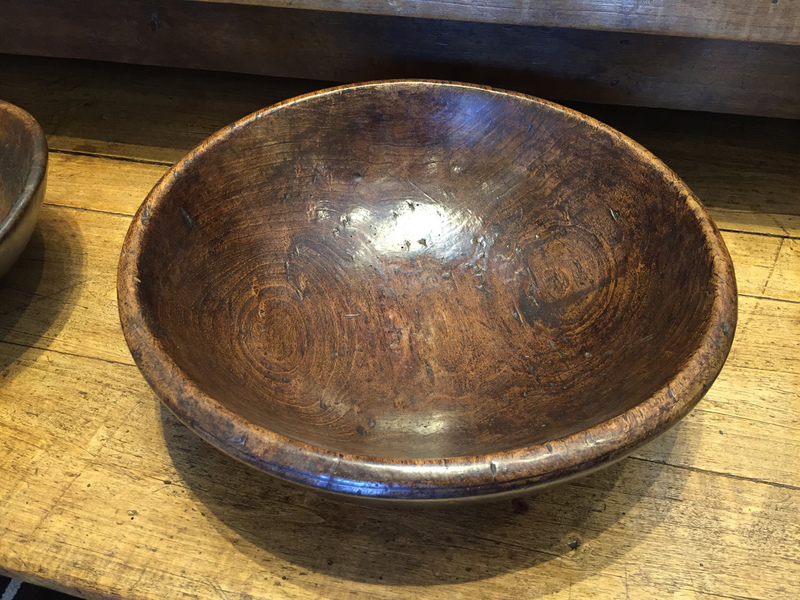 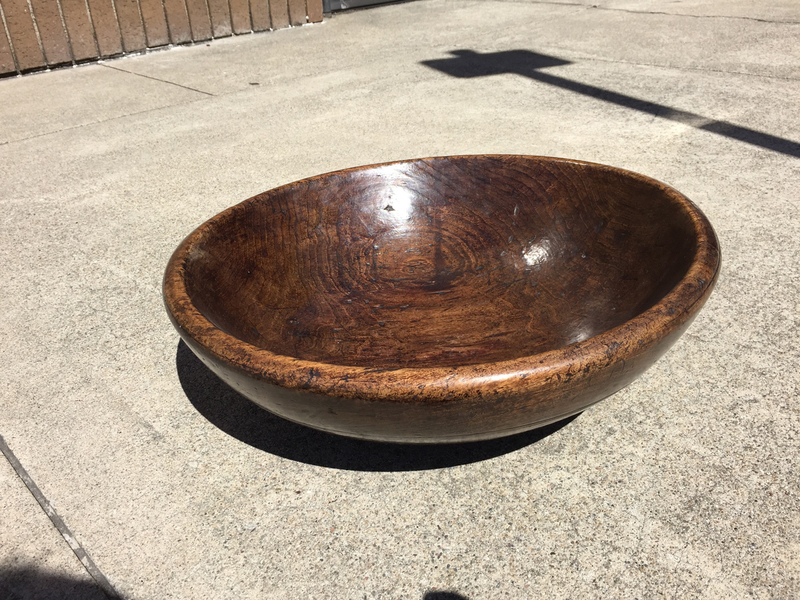 A Large-Scale Turned Fruitwood Bowl, English, circa 1870 richly-polished, aged and grained wood with a deep character; a wonderful antique wooden bowl. 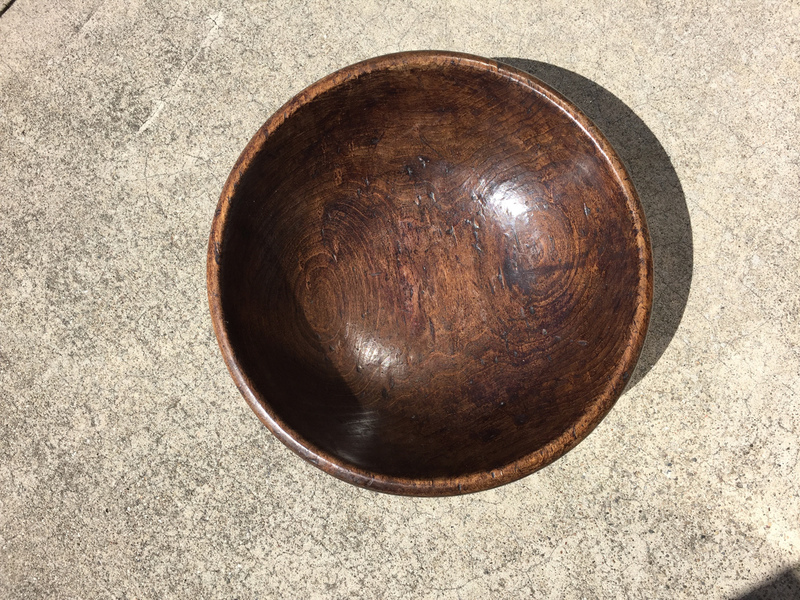 diameter: 17 in. 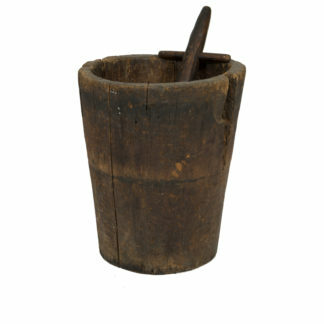 43 cm., height: 5 in. 12.7 cm.